I didn't run the Dirty Sock this year and was fine with that. After hearing about the great experiences (and great times) achieved by my running buddies this morning and watching all the Cow Harbor race coverage on News 12, I feel like I missed out. But after a pleasant, but non-competitively paced run this morning, I know I was right to sit it out. 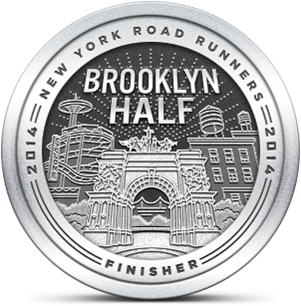 My initial plan was to go to Bethpage and run there. 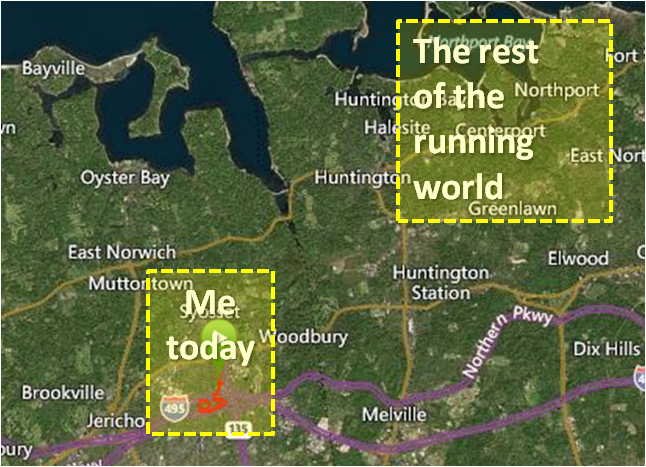 I thought it might be quiet (in terms of runners) because a good percentage of the Long Island running world would be in Northport. Our morning plans required me to get my run done early so I stayed local to save time. I did most of my miles in the neighborhood directly south of mine just for a change of pace. Unfortunately, it didn't change my pace. I've continued to work standing up since getting my new desk two weeks ago. I use it during the weekend, at night and when I work from home. I haven't seen any tangible performance benefits from doing this, but I have to believe it's strengthening something. With so much written about sitting being the new smoking, it's a good thing to do. I do believe that my running form has improved and my stride has felt more fluid in the past couple of weeks. I had the same great weather that my Cow Harbor friends enjoyed and that kept my run enjoyable. I forgot to wear my HRM so I don't know if I exceeded 80% max range but I suspect I did near the end. Interestingly, I kept most of my splits within 10 seconds of each other, with slight negatives each time. My last mile was 30 seconds better than the first four. I may do a track workout tomorrow to force myself to deal with speed and the harder work that comes with it. I was on the right path back in March and April when I was following the Hal Higdon Half plan that included weekly speed and tempo runs. A little success may go a long way towards breaking out of my current routine of easy runs. LOLOLOL... LOVE, love, LOVE your graphic! We really missed you today. I plan on running the Supervisors, Run for the Warriors, Oyster Bay Turkey trot, and MAYBE the Hot Chocolate. I hope you find your way to race again before the end of the year, you can consider it speed training! Hey, Rockville Centre has a popular 5k/10k race in November, the weekend after NYC. Flat, flat, flat. Did I say flat? I will return to the starting line this year (and hopefully soon). You both inspired me today. Glad you guys liked the graphic. It really felt like that today. RVC race sounds like my type of course. But is that the one that's run the same day as Run for the Warriors? Under two conditions: 1. You remain standing when you do it and 2. You only smoke while wearing a gas mask.